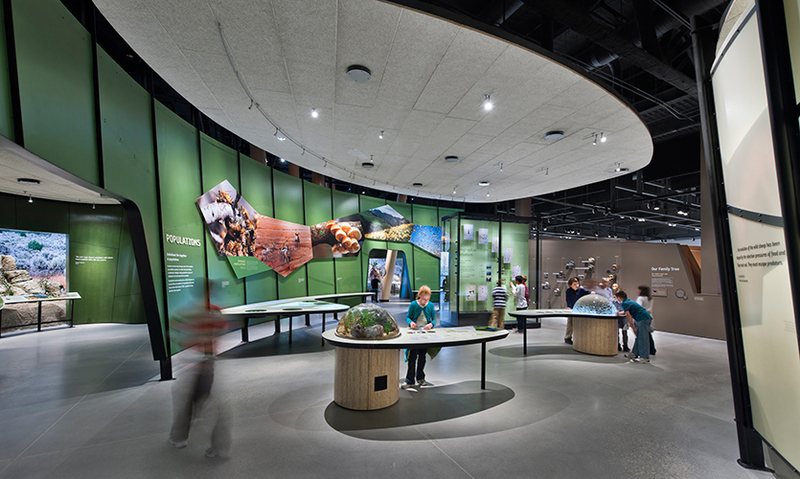 The Natural History Museum of Utah has created a remarkably integrated suite of design components: the Ennead-designed building nestled in the foothills of the Wasatch Range, a series of 10 interconnected exhibitions designed by Ralph Appelbaum Associates that resonate with the natural setting, an interior and exterior wayfinding program by Poulin + Morris, brand identity by Infinite Scale, and landscape architecture by Design Workshop. 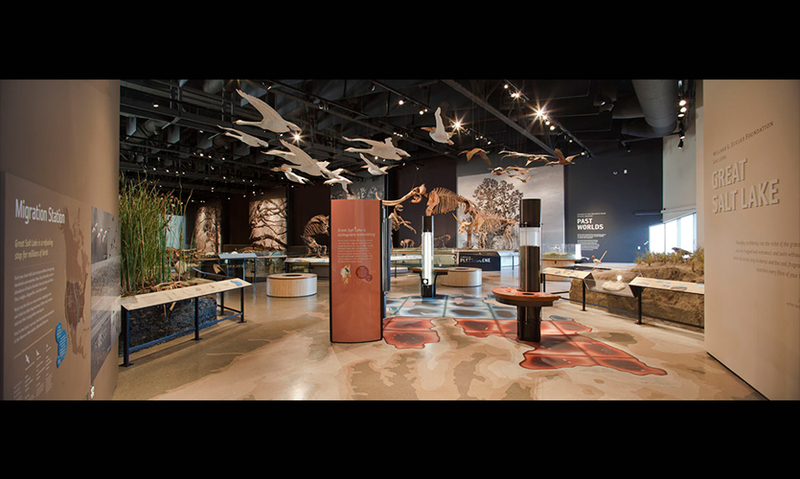 This work was possible through deep and long-term collaboration among the various designers and the museum’s creative and leadership teams. 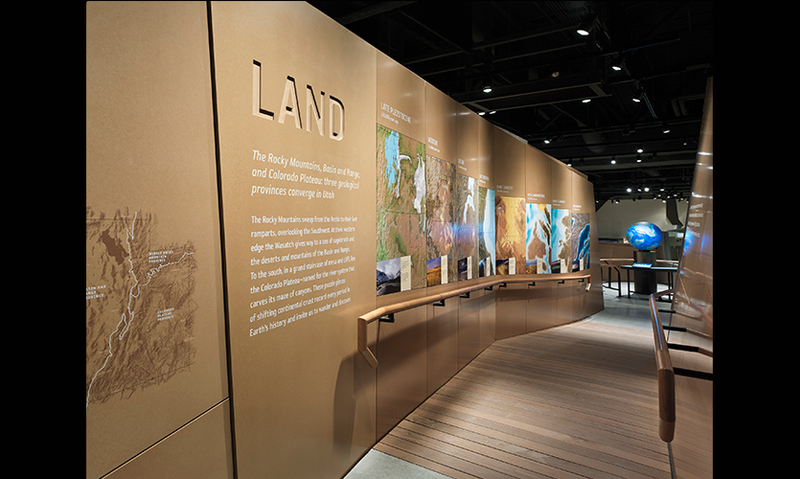 The 160,000-square-foot building, known as the Rio Tinto Center, uses a materials palette recalling Utah’s geological and mineralogical history. 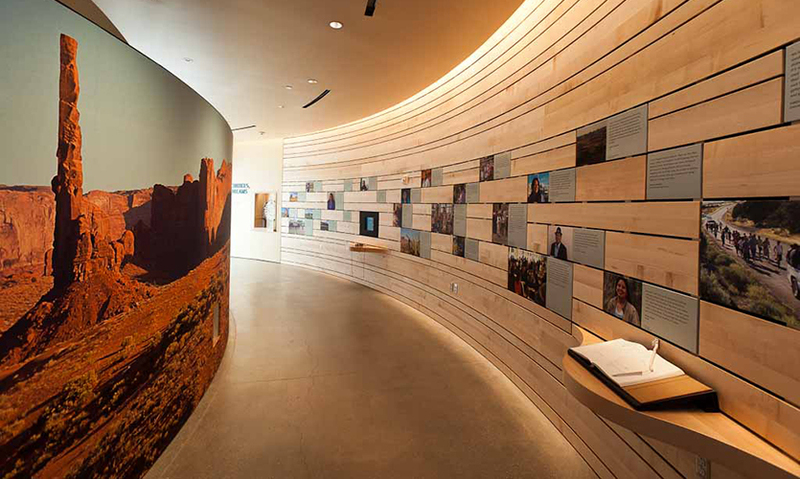 A richly colored stratigraphic surface of copper on the building’s exterior references the mountainous landscape and the geophysical processes that created it. 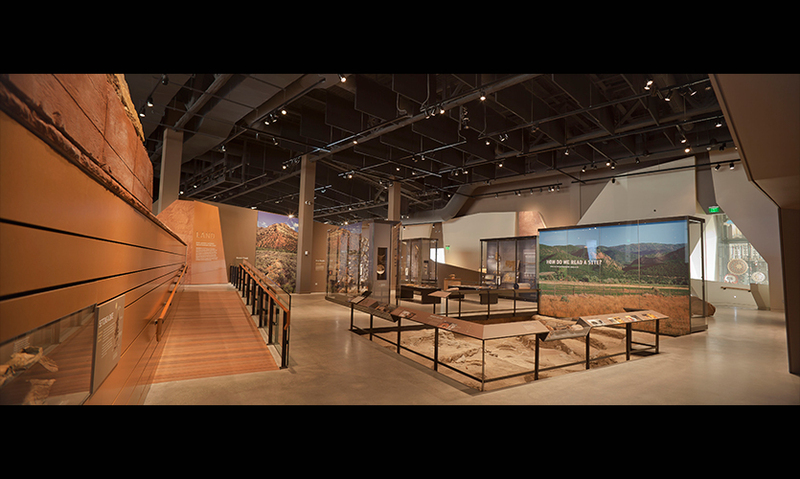 Three structural bays, organized along a central axis, reduce the perceived scale of the building and create a central, wedge-shaped public space referred to as the “canyon.” Inside, permanent exhibitions are organized as a system of trails, inviting visitors to choose their own paths through the space. 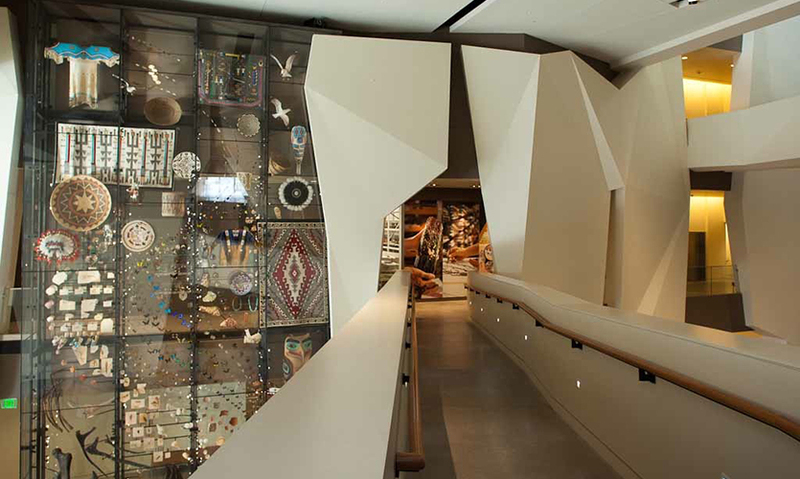 To approach the building is to experience an unfolding, a series of discoveries of materiality and content. 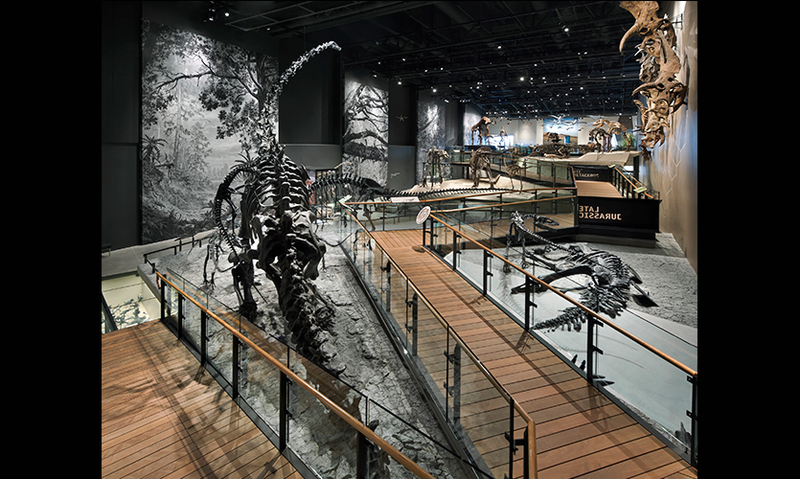 Artfully placed windows link the rich and varied exhibitions inside with the natural world outside, reconnect visitors, again and again, with the natural landscapes that give the museum its purpose. 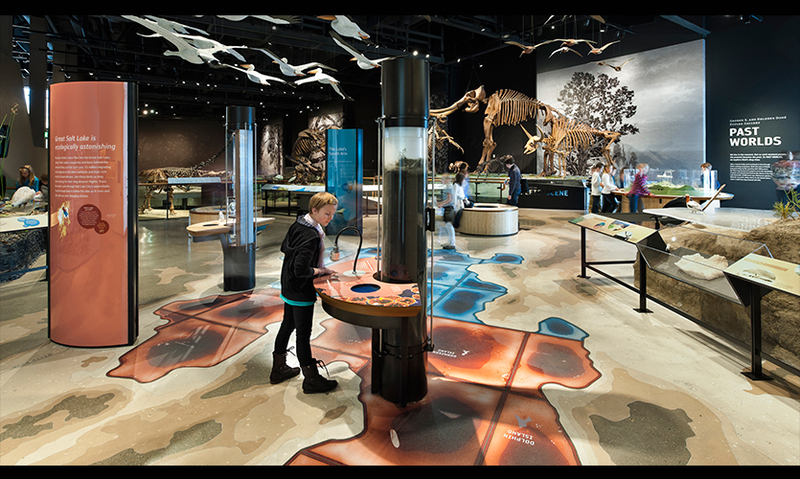 The integration of design serves to physically and visually embody the museum’s mission: to illuminate the natural world and the place of humans within it.